from what I’ve tasted of desire – Naming a blog is harder than naming a kid. Among the posts I’ve seen recently include that a veterinary office has burned down but “the cats are okay,” and that an equestrian center that’s hosting 100+ evacuated horses” needs grass hay urgently,” and folks on facebook are posting pictures of long lines of evacuated residents being escorted in to gather pets and essential medications only, while other people are walking the lines of cars distributing water and fresh food to those waiting. A few hundred houses have burned. a couple of residents have died, apparently while preparing to flee. Current climate change models suggest that, for those of us in western North America, this is what kind of future we’re looking at, for real. We pray for the people of Colorado Springs. of these communities to flash flooding and other natural disasters heightened by the fires. of assistance across the mountain west. 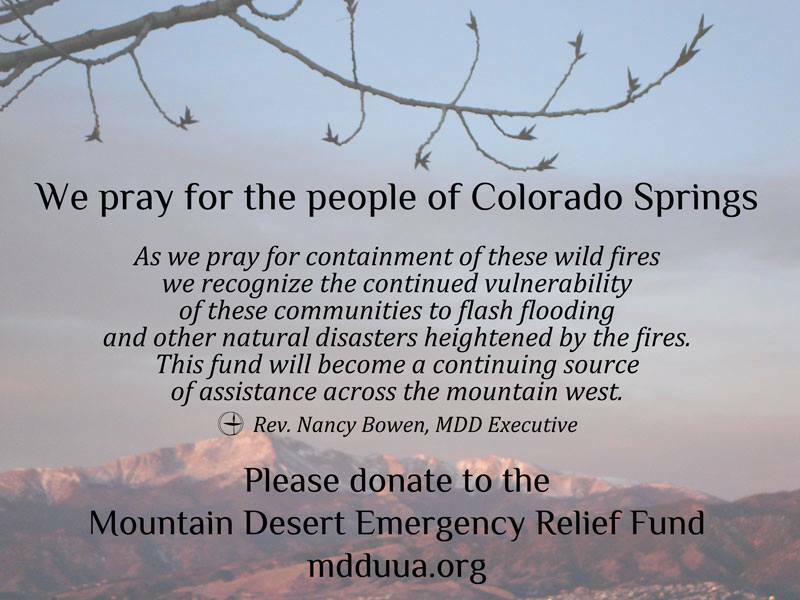 Please donate to the Mountain Desert Emergency Relief Fund.